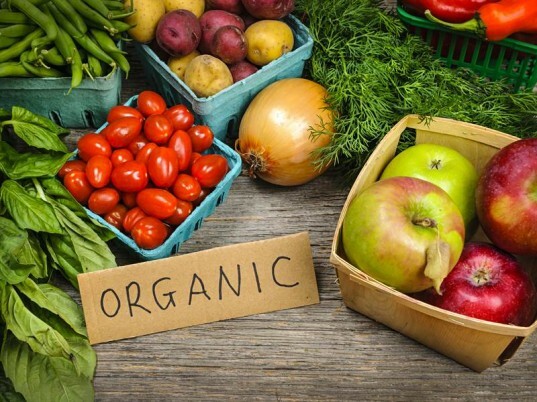 If you live in the United States and want to go organic, you'll be running into the U.S. Department of Agriculture (USDA) Organic Seal (sometimes called "organic label") quite often as you shop for organic products. First off, it's important to realize that while the "USDA Organic Seal" is often used interchangeably with the term "USDA organic label" or "Organic label," the terms DO NOT mean the same thing. 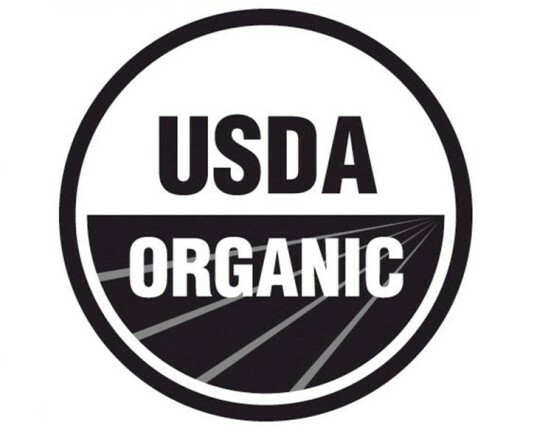 The USDA Organic Seal is the official seal of the National Organic Program (NOP). 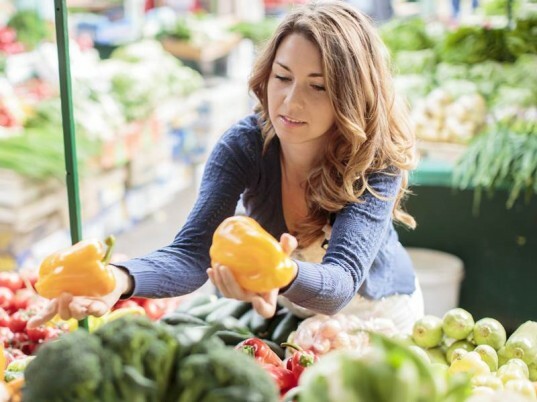 When you hear the term "organic label" it usually refers to an ingredient or material label that makes some sort of organic term, such as "Made with organic ingredients." To learn more about the Organic Seal and get answers to some common organic seal and label questions, keep reading. What Does the Organic Seal Mean? The USDA Organic Seal was developed back in 1990 when Congress passed the Organic Foods Production Act (OFPA). This Act required the USDA to develop national standards for organically produced agricultural products. In turn, the National Organic Program (NOP) is a program within the USDA Agricultural Marketing Service (AMS). Long story short, NOP and OFPA set some major regulations in place that all agricultural products labeled as organic must follow. In general, products labeled as organic have the following in common. Organic food cannot be raised with most conventional pesticides, petroleum-based fertilizers, or sewage sludge-based fertilizers. Organic meat and other animal food products must be raised on a certified organic operation and must only be fed 100% organic feed and given some access to outdoor time. Animal food products (such as meat or dairy) that is labeled as organic cannot contain antibiotics or growth hormones. All food labeled with the USDA Organic Seal must also be grown without and processed without the use of chemicals, synthetic fertilizers, hormones, GMOs, artificial colors or artificial flavors. What Products Carry the Organic Seal? Something to think about as a consumer is that ONLY fully agricultural products can be labeled as organic. More importantly, this means ONLY fully agricultural products are regulated by NOP policy. So, for example, apples or a can of soup, both fully agricultural products are regulated, but a bottle of shampoo made with just some organic ingredients is NOT regulated by NOP policy. This is why so many cosmetic and body care companies get away with shoddy organic labeling and false organic claims. To learn more about the issue of non-regulated body care, read this: why aren’t organic body care and cosmetics aren’t regulated? Below are products that can carry a real organic seal or label. Foods containing 100% organic agricultural ingredients may carry the organic seal. Example: A bunch of carrots or bottle of pure juice. Multi-ingredient products, including wine and alcohol, that contain at least 95% organic ingredients may carry the organic seal. Example: A can of soup made with 95% organic ingredients plus 5% non-organic ingredients. In this case, all agricultural ingredients in the product must be organic unless they’re truly not available. Cosmetics or body care made with at least 95% agricultural and organic materials may carry the organic seal. Example: Soap or lip gloss made with 95% organic agricultural ingredients AND the products must be certified. Organic fiber products, such as products made with cotton, wool, flax and more, may also wear the organic seal depending on amount of organic fibers used and if they’ve been certified. Some typical fiber products include clothing, linens, cloth dolls, tablecloths and cloth napkins. See a full list of products that can be certified organic and wear the organic seal. *NOTE: Organic labels can be confusing, but the little NOP grocery bag chart shown above, should help you out. Are All Organic Seals Green? 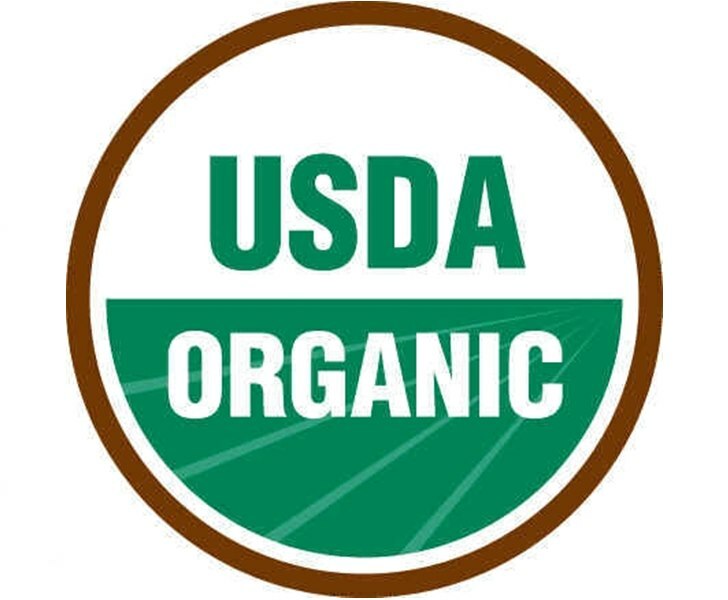 The USDA Organic Seal is most commonly printed green and brown, as shown in the first image in this post. However, companies may also choose to use a black and white organic label or an organic label that is outlined in black on a transparent background. The green and brown label along with the black labels are legit. If you see a wacky pink, yellow or other color of organic label, that’s a clue that the label is a fake, because variations beyond green and brown or black and white are not allowed via NOP policy. Are All Organic Products Labeled? Organic labeling is NOT something that NOP requires. Labels and the organic seal are totally optional for companies. Companies should label their items if they’ve been certified, because it makes it easier for consumers, but again, it’s a choice. Some companies instead simply place a short statement on their packaging about the product being organic. Example: You see a bottle of juice without an organic seal but it does say, “100% USDA certified organic” or “organic” somewhere on the package. This means the product has been certified to organic standards, and is really organic. The company just didn’t use the label. Example 2: Companies or farms selling less than $5,000 of products a year do not have to be certified by NOP but, if they don’t get certified, they also cannot use the organic seal on their products. However, this doesn’t mean a small family farm isn’t organic, they just likely don’t want to deal with expensive certification costs. Example 2 is why it pays to ask growers about their growing methods, say, at a local Farmers’ Market. Does the Organic Seal or Label Mean Healthy? No way! As organics have grown in popularity, so have their junk food counterparts. You can get fat and calorie packed organic cookies, cakes, candy, pudding, soda, chips, frozen meals and so much more. Organic food, like any food on the planet can be full of sodium or sugar, fattening, just plain unnecessary for a healthy meal plan. 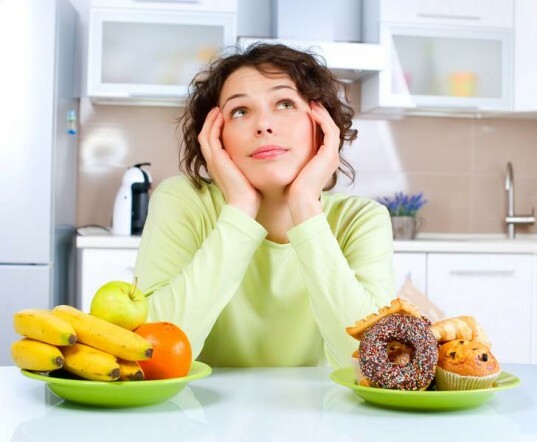 Your actual food choices, not any food label is what equals healthy or not. Plus, the USDA, the OFPA and NOP policies do not address food safety or nutrition. Of course, the one main reason organics are better for you is because of pesticides. Sure, organic cookies aren’t a health food, but they will have far fewer toxic chemicals and pesticides than conventional cookies. On top of that, organic production, no matter the product, makes for a healthier planet because they’re grown and produced without all the pesticides and chemicals, meaning it keeps the earth’s soil, water and air cleaner and healthier. How Trustworthy is the USDA Organic Seal? Well, this is up for debate. The USDA is not a consumer advocacy organization. They care about the bottom line, not the health or safety of consumers. In fact research shows NOP hasn’t even been very good at enforcing the organic policy and rules they themselves have set. Still, after reports like this appear, the USDA will say that they’re working harder to make sure organic rules are enforced and they’ve even created some new easier certification programs and many more consumer information pamphlets than they used to. Organics, like all policies are a work in progress. This doesn’t mean you shouldn’t trust ALL organics though. Many organic companies are ethical. Not all, but many. One good way to make sure you’re getting the best organics possible is to buy local, as it allows you to check out a company’s methods better, than say a company halfway across the world. Additionally, keep up on organic news so you can be aware of what’s happening in the world of organics. The links below offer some decent news regarding the state of the organic program and organics in general. Image via Shutterstock What Does the Organic Seal Mean? The USDA Organic Seal was developed back in 1990 when Congress passed the Organic Foods Production Act (OFPA). This Act required the USDA to develop national standards for organically produced agricultural products. 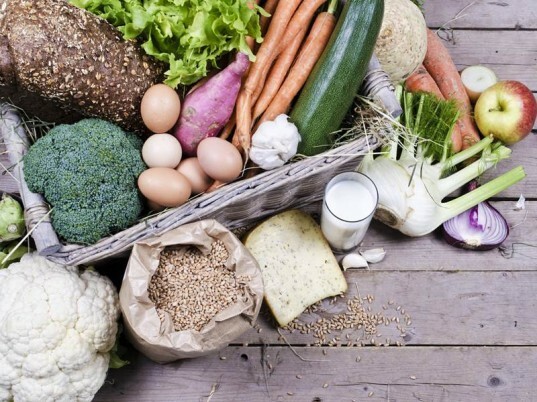 In turn, the National Organic Program (NOP) is a program within the USDA Agricultural Marketing Service (AMS). Long story short, NOP and OFPA set some major regulations in place that all agricultural products labeled as organic must follow. In general, products labeled as organic have the following in common. Organic food cannot be raised with most conventional pesticides, petroleum-based fertilizers, or sewage sludge-based fertilizers. Organic meat and other animal food products must be raised on a certified organic operation and must only be fed 100% organic feed and given some access to outdoor time. Animal food products (such as meat or dairy) that is labeled as organic cannot contain antibiotics or growth hormones. All food labeled with the USDA Organic Seal must also be grown without and processed without the use of chemicals, synthetic fertilizers, hormones, GMOs, artificial colors or artificial flavors. 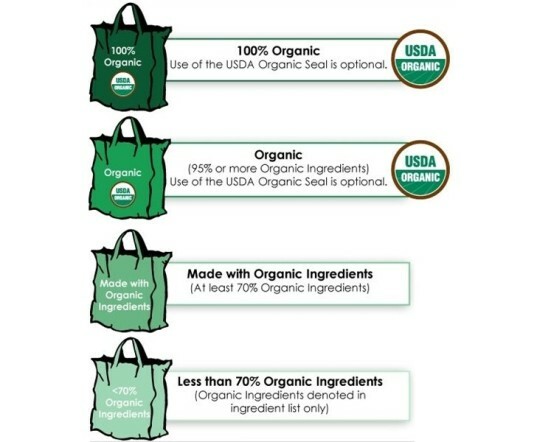 Image via USDA National Organic Program What Products Carry the Organic Seal? Something to think about as a consumer is that ONLY fully agricultural products can be labeled as organic. More importantly, this means ONLY fully agricultural products are regulated by NOP policy. So, for example, apples or a can of soup, both fully agricultural products are regulated, but a bottle of shampoo made with just some organic ingredients is NOT regulated by NOP policy. This is why so many cosmetic and body care companies get away with shoddy organic labeling and false organic claims. To learn more about the issue of non-regulated body care, read this, why aren't organic body care and cosmetics aren't regulated? Below are products that can carry a real organic seal or label. Foods containing 100% organic agricultural ingredients may carry the organic seal. Example: A bunch of carrots or bottle of pure juice. Multi-ingredient products, including wine and alcohol, that contain at least 95% organic ingredients may carry the organic seal. Example: A can of soup made with 95% organic ingredients plus 5% non-organic ingredients. In this case, all agricultural ingredients in the product must be organic unless they're truly not available. Cosmetics or body care made with at least 95% agricultural and organic materials may carry the organic seal. Example: Soap or lip gloss made with 95% organic agricultural ingredients AND the products must be certified. Food or other products made with at least 70% organic ingredients may not wear the organic seal. They can however, feature the following term on the product label, "Made With Organic Ingredients." Products than contain less than 70% organic ingredients cannot ever feature the organic label OR make any sort of organic claim on the packaging. There's one exception to the 70% rule, which is that the product name organic ingredients in their ingredient statement, such as, "Organic oats, milk, eggs, flour and organic raisins." Organic fiber products, such as products made with cotton, wool, flax and more, may also wear the organic seal depending on amount of organic fibers used and if they've been certified. Some typical fiber products include clothing, linens, cloth dolls, tablecloths and cloth napkins. See a full list of products that can be certified organic and wear the organic seal. *NOTE: Organic labels can be confusing, but the little NOP grocery bag chart shown above, should help you out. Image via USDA National Organic Program Are All Organic Seals Green? The USDA Organic Seal is most commonly printed green and brown, as shown in the first image in this post. However, companies may also choose to use a black and white organic label or an organic label that is outlined in black on a transparent background. The green and brown label along with the black labels are legit. If you see a wacky pink, yellow or other color of organic label, that's a clue that the label is a fake, because variations beyond green and brown or black and white are not allowed via NOP policy. Image via Shutterstock Are All Organic Products Labeled? Organic labeling is NOT something that NOP requires. Labels and the organic seal are totally optional for companies. Companies should label their items if they've been certified, because it makes it easier for consumers, but again, it's a choice. Some companies instead simply place a short statement on their packaging about the product being organic. Example: You see a bottle of juice without an organic seal but it does say, "100% USDA certified organic" or "organic" somewhere on the package. This means the product has been certified to organic standards, and is really organic. The company just didn't use the label. Example 2: Companies or farms selling less than $5,000 of products a year do not have to be certified by NOP but, if they don't get certified, they also cannot use the organic seal on their products. However, this doesn't mean a small family farm isn't organic, they just likely don't want to deal with expensive certification costs. Example 2 is why it pays to ask growers about their growing methods, say, at a local Farmers' Market. Image via Shutterstock Does the Organic Seal or Label Mean Healthy? No way! As organics have grown in popularity, so have their junk food counterparts. You can get fat and calorie packed organic cookies, cakes, candy, pudding, soda, chips, frozen meals and so much more. Organic food, like any food on the planet can be full of sodium or sugar, fattening, just plain unnecessary for a healthy meal plan. Your actual food choices, not any food label is what equals healthy or not. Plus, the USDA, the OFPA and NOP policies do not address food safety or nutrition. Of course, the one main reason organics are better for you is because of pesticides. Sure, organic cookies aren't a health food, but they will have far fewer toxic chemicals and pesticides than conventional cookies. On top of that, organic production, no matter the product, makes for a healthier planet because they're grown and produced without all the pesticides and chemicals, meaning it keeps the earth's soil, water and air cleaner and healthier. Image via Shutterstock How Trustworthy is the USDA Organic Seal?